NEW YORK – Simplicity, coherence, and the promotion of Greek culture are the basic principles of the new aesthetics imposed by the Consul General of Greece in New York Konstantinos Koutras from the day he took office. On January 28, we were impressed once again by the opening of the doors of the Consul General’s residence as a classical chamber music venue. The recently-tuned, years-old Steinway piano, which decorates the living room of the residence, was played by pianist Lowell Liebermann, one of the world’s most important composers of classical music, announcing the cooperation between the Consulate General of Greece in New York and Chamber Music Hellas (CMH) a non-profit organization based in New York and organizing classical chamber music festivals in areas outside of Greece’s main tourist destinations. CMH President and CEO Vasos Papagapitos together with his brother George Papagapitos, CMH Vice President, are well known for their company Travel Dynamics, which since 1960 has been organizing themed tourism, including cruises organized for affluent and cultured Americans, scientists, historians, and archaeologists from Harvard and Yale to spread the Greek spirit. Their innovation this time was orchestrated in 2018 with classical chamber music, led by pianist Lowell Liebermann and an outstanding group of musicians from Lincoln Center, establishing the first International Classical Music Festival in Thessaly, which was christened Chamber Music Hellas in June 2018. Thessaly, the blessed “Land of the Gods,” was chosen for the second year again this year as a tourist destination with a ten-day stay and visits to its most beautiful villages and towns, such as Volos, Larissa, and Trikala, concerts at archaeological sites and museums in these regions. Performances taking place within the framework of cultural tourism will be gradually extended to the rural areas and to the remote islands of Greece. In this way, a unique opportunity is given to the Greek audience to connect with classical music. 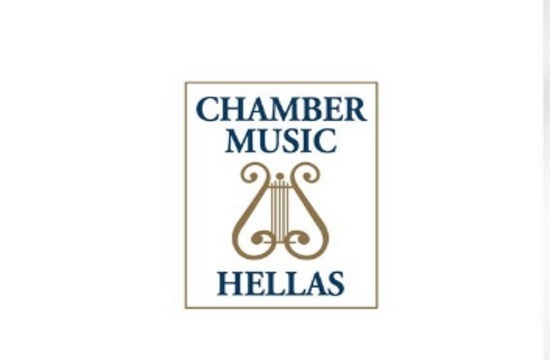 On the other hand tourists who will participate in the chamber music cultural tours organized in Greece will have the opportunity to visit antiquities and museums in the day, while in the evening they will enjoy, under the starry Greek sky, western European classical music. A unique and intelligent combination that enhances the lives of not only individual listeners, but also entire communities, which, by enhancing the musical experience, builds bridges for the passage of classical music education to the next generations of Greeks.